Yeay!!! I'm back after a business trip abroad (well, Scotland) and a nasty lurgy. But now thanks to extreme medication (lemsip) and 2 weeks sick leave, it's back to blogging the good stuff and with Christmas just around the corner there's plenty of it! 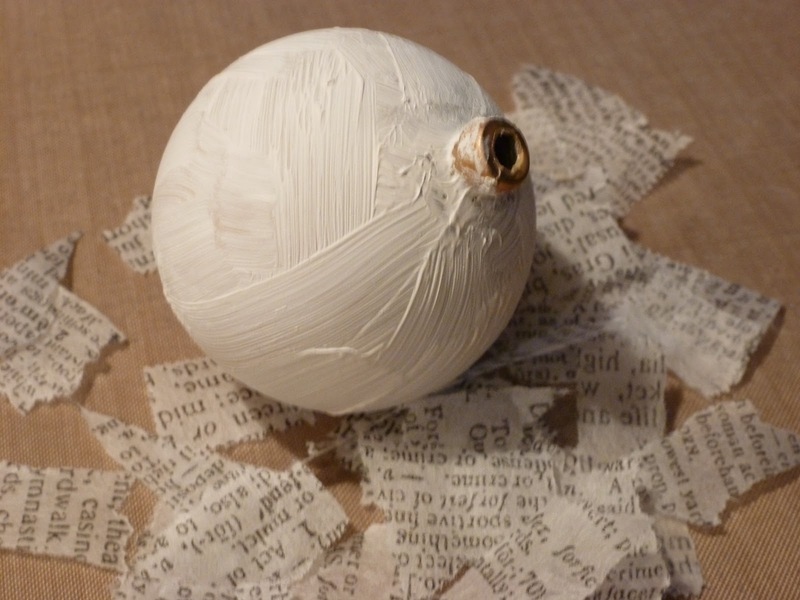 Get a plastic bauble and paint it white, then cover it with glue, then cover it with torn pieces of newsprint or pieces from an old book. 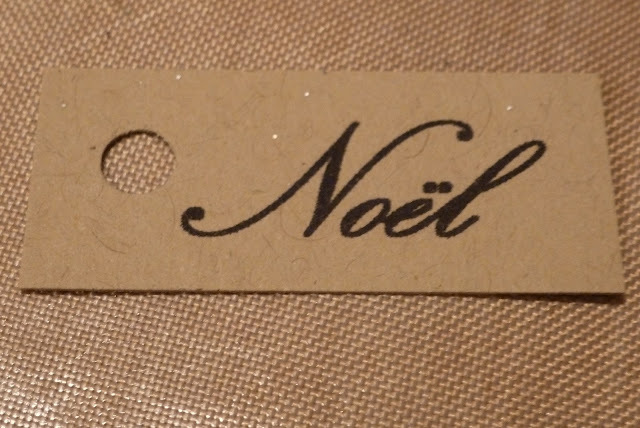 Anything with text on it really. 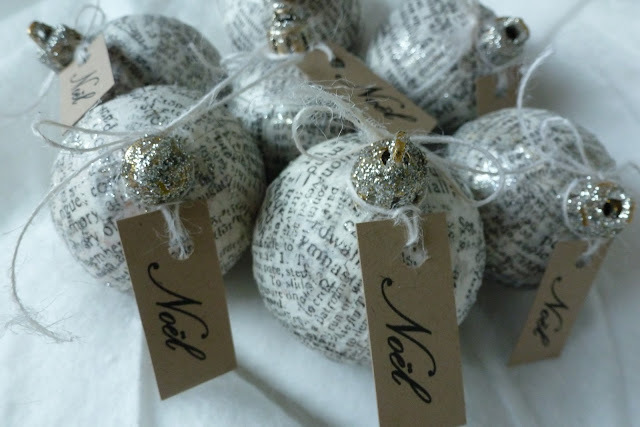 If you have some, paint the whole thing with decoupage sealer/glue. You may want to make a bit of a feature of the top of the bauble. 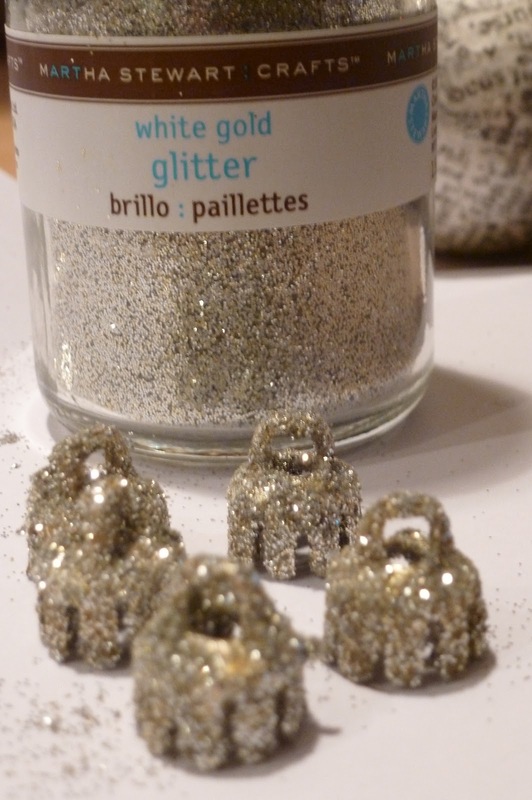 If so dip it in glue then dip it in glitter then spend the next two days finding glitter in places where nothing should shine. 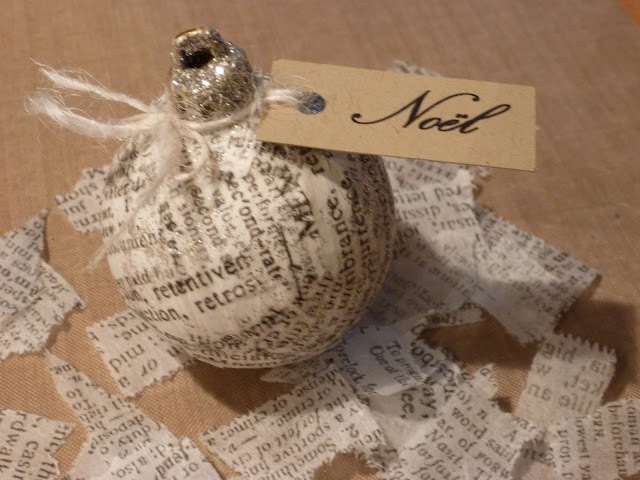 Print a little Christmassy message on plain kraft card, punch a hole in it and tie a pretty bow with some twine or whatever you have to hand.